Robert Johnston has specialized in the defense of commercial lines and personal lines insurers since 1966. 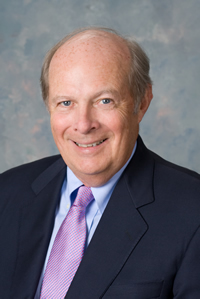 Mr. Johnston is a graduate of the University of Notre Dame in 1963 and Tulane University School of Law where he served on Tulane’s Moot Court Board, based upon academic distinction. Mr. Johnston was formerly a partner in the New Orleans law firm of Beard, Blue, Schmitt and Treen and a founding partner of the firm, Johnston and Duplass in 1976. Mr. Johnston’s areas of practice include product liability, professional liability, maritime, environmental and toxic torts, automobile and worker’s compensation. Mr. Johnston is a member of the International Association of Defense Counsel, Defense Research Institute, Louisiana Association of Defense Counsel, New Orleans Association of Defense Counsel, Louisiana and American Bar Associations.